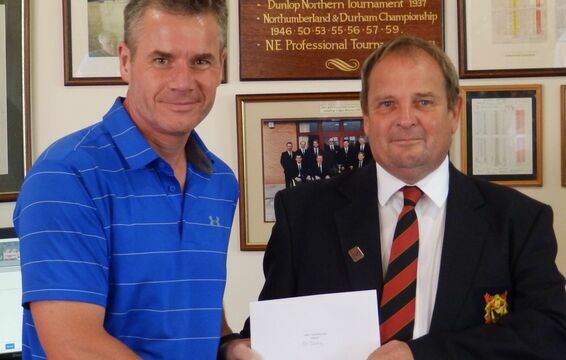 After 30 years playing at the club Phil Hamer finally secures a big win. 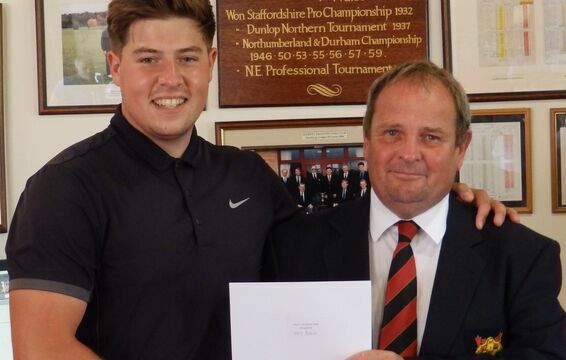 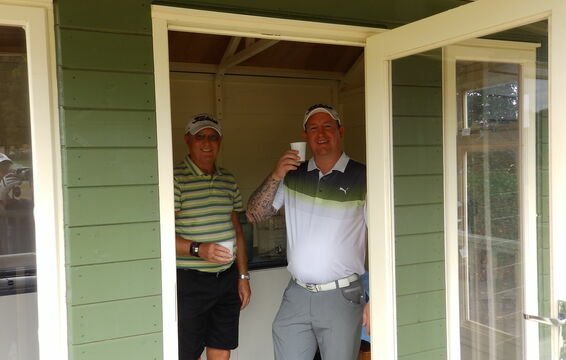 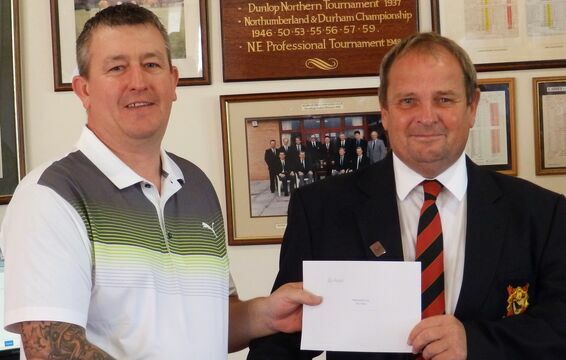 Phil, 41, who has been a member since joining as a junior, hit at commendable 40 points playing off 10 in the President’s Day on Sunday (July 22). 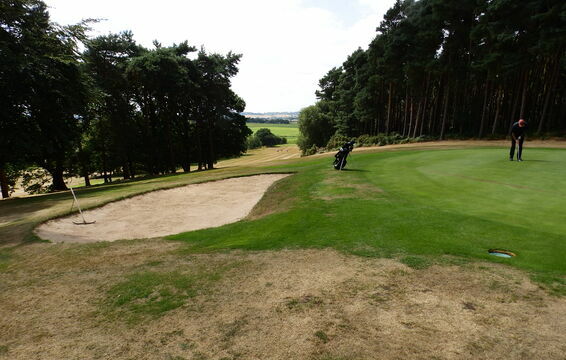 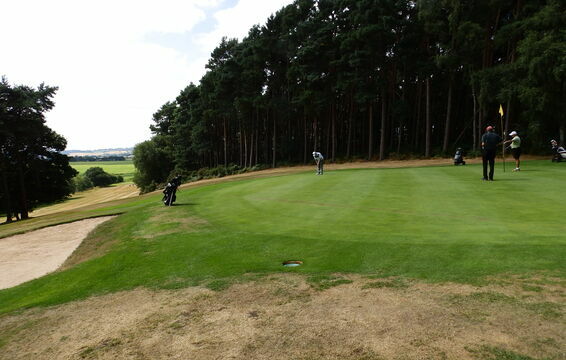 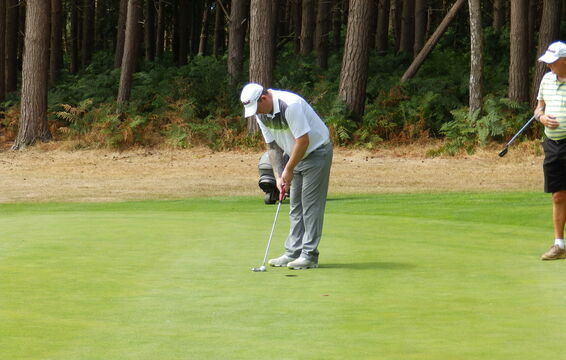 He was one of more than 100 golfers who enjoyed a stunning sunny day’s play. 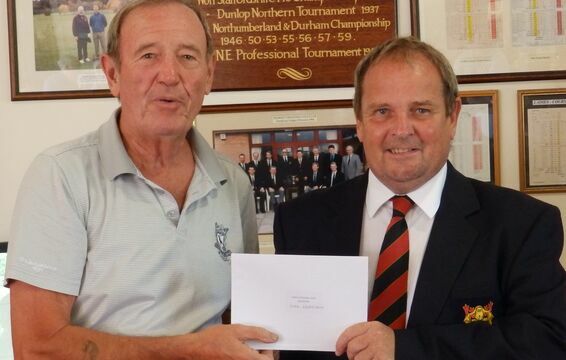 “I thought I would never win anything,” said Phil. 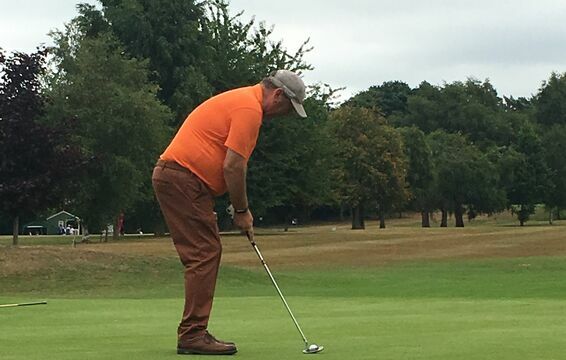 “I have always felt like the Colin Montgomerie of Market Drayton, he never won a major either, but now I have broken my duck,” smiled Phil, who lives in Loggerheads. 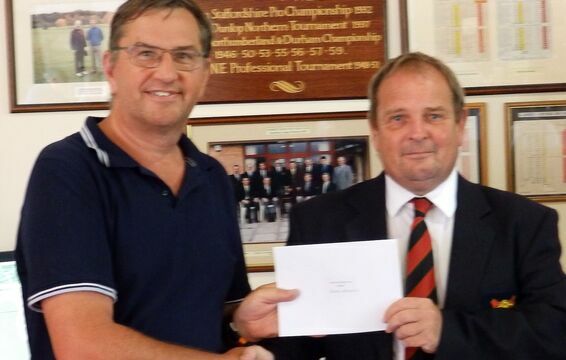 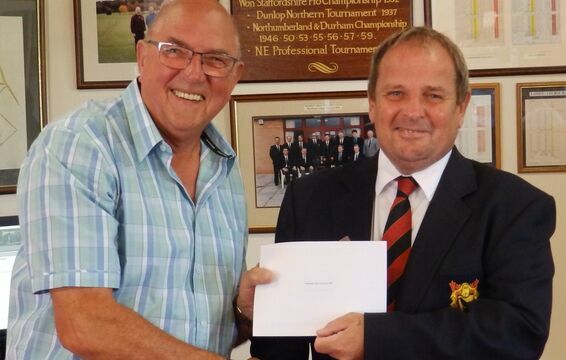 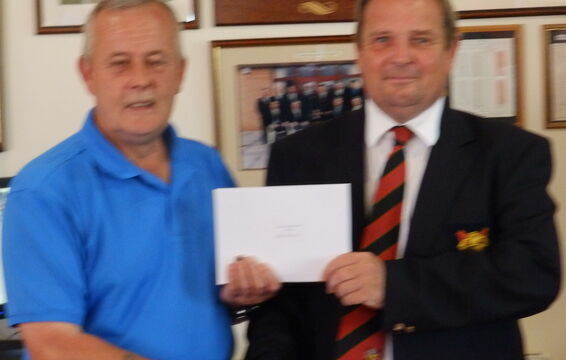 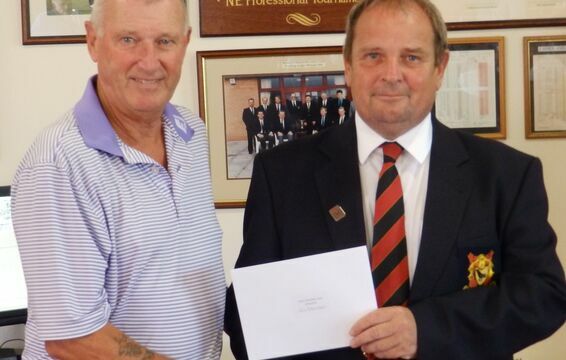 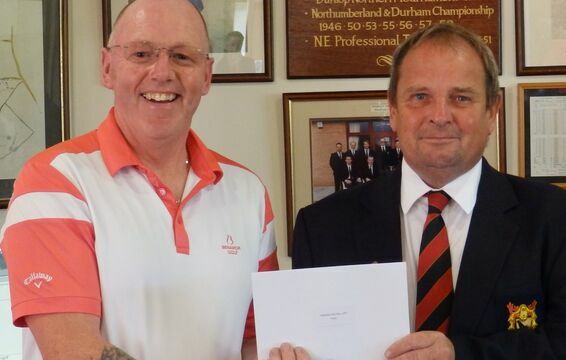 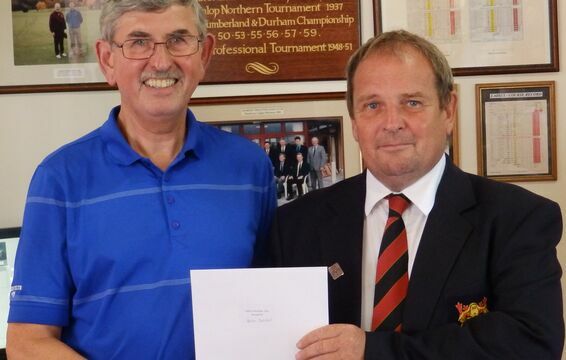 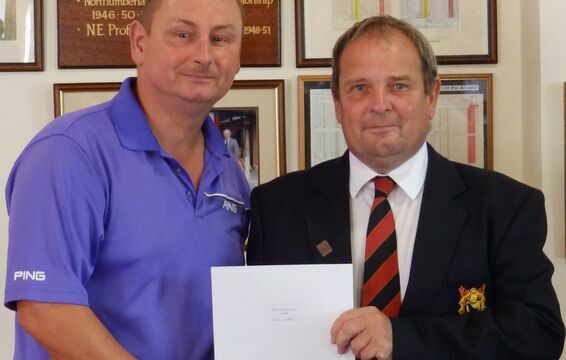 Phil is seen here receiving his £100 prize from President Trevor Parr who provided drinks and snacks that the halfway house. 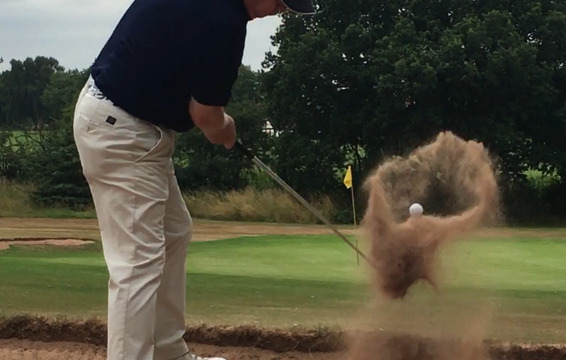 Phil now holds the much-prized President’s putter for 12 months. 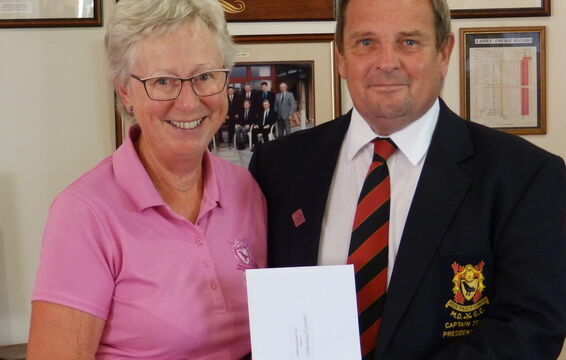 Trevor thanked all the members for making his day so memorable and remarked how fantastic the course was despite the prolonged dry spell. 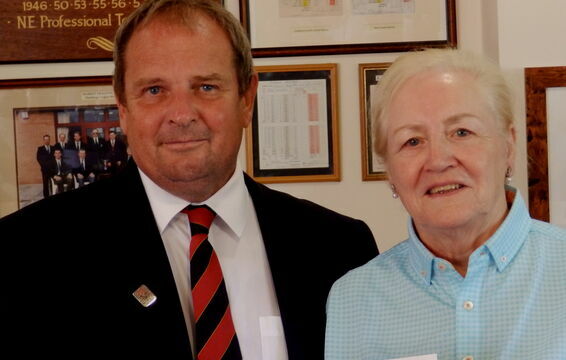 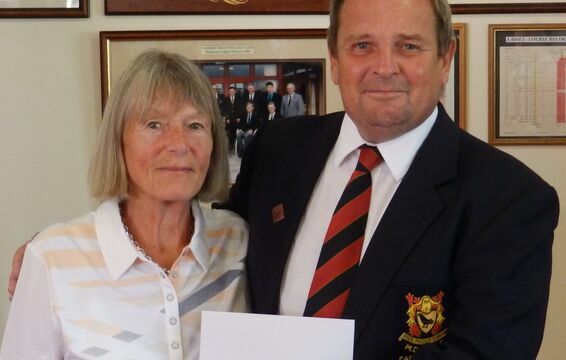 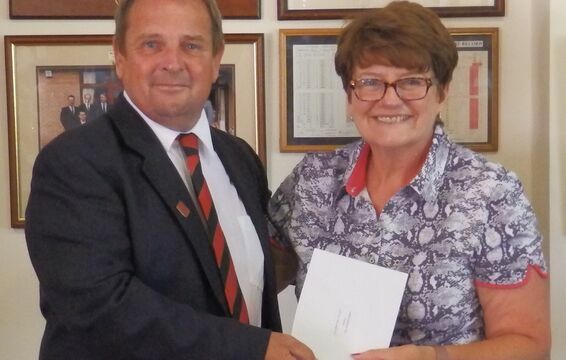 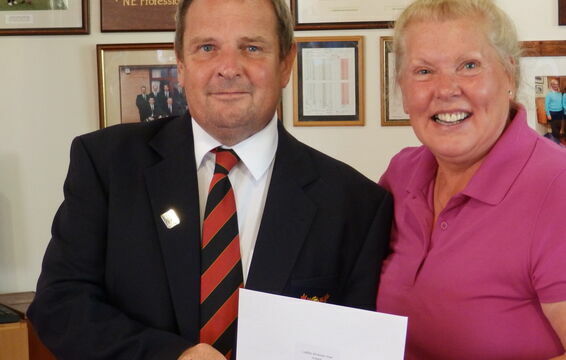 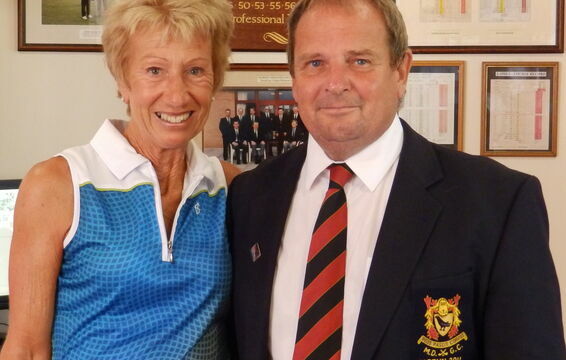 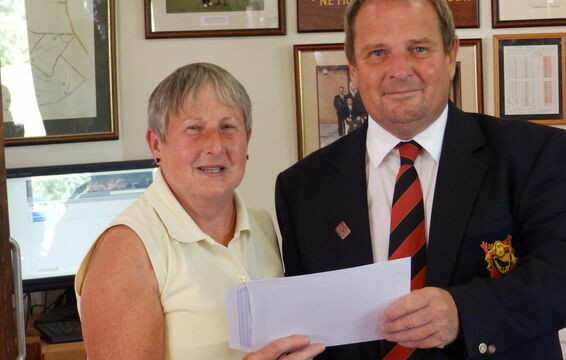 Winner of the ladies’ competition was Lady Captain Margaret Playfair who scored 41 points playing off 28. 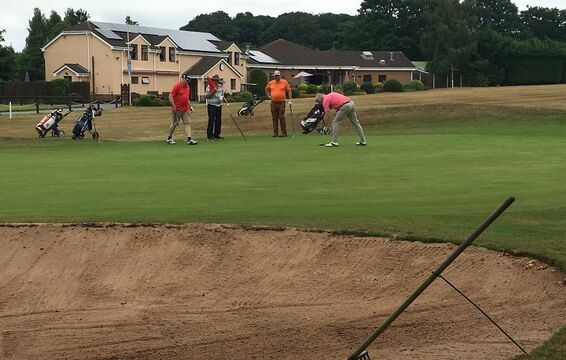 Div 1: 1 Philip Hamer (10) 40; 2 Tim Dovey (12) 38; 3 Stewart Atkinson (14) 37; 4 Neil Ward (11) 36; 5th Matt Birch (0) 36. 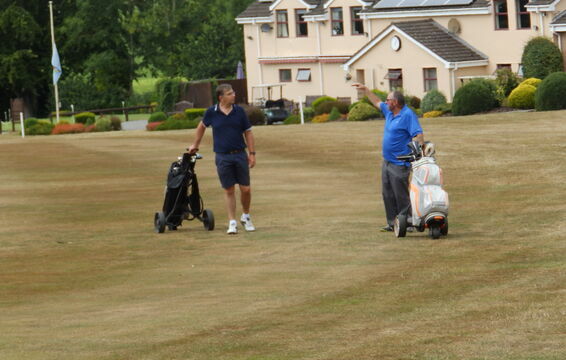 Div 2: 1 Steven Walwyn (17) 39; 2 Mike Kavanagh (18) 39; 3 Robert Francis (17) 39; 4 Bill Sloan (21) 38; 5 Bob O’Regan (29) 36. 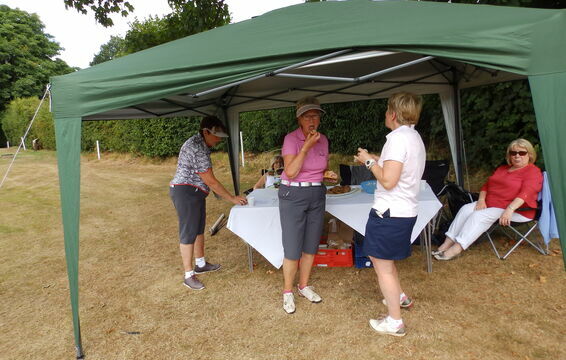 Ladies competition: Div 1: 1 Joyce Barker (24) 39; 2 Bunty Yendole (21) 38; 3 Lyn Blackburn (26) 31; 4 Una Cole (27) 30; 5th Jan Oliver (25) 30; 6th Annette Watkins (20) 29. 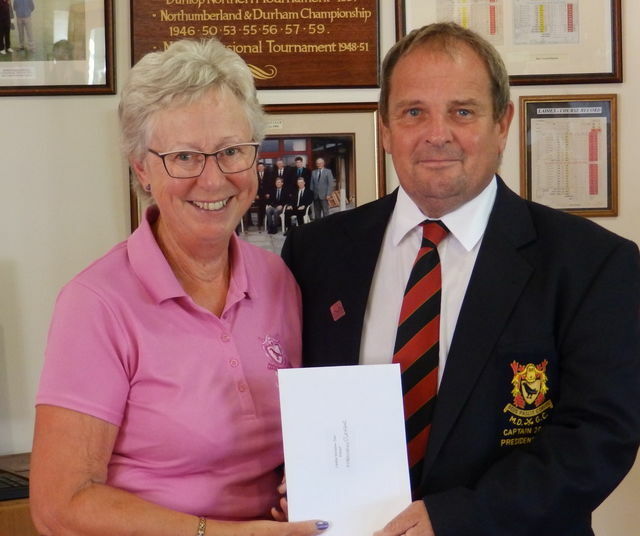 Div 2: 1 Margaret Playfair (28) 41; 2 Linda Lewis (37) 35; 3 Lynn Ellerton (28) 35; 4 Mary MacLeary (35) 31; 5 Irene Clarke (31) 31. 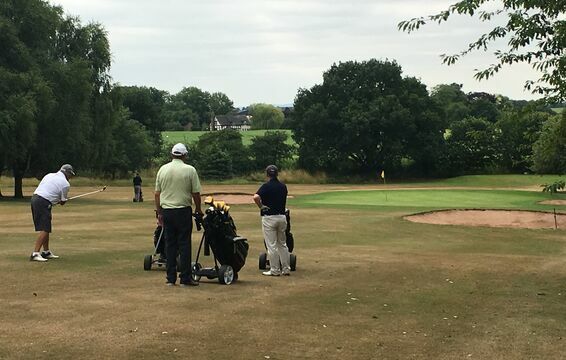 Other results: Nearest the pin on 15 John Brown; nearest the pin on 7 Chris Ward; nearest the line on 18 Derek Coppack; nearest the pin in two on 18 Neil Ward.